Um, what is "astiankuivauskaappi" and where do we get one? That was our reaction when we saw this dish-drying cabinet. It’s really popular in Finland and some other European countries, but virtually unheard of in the U.S. 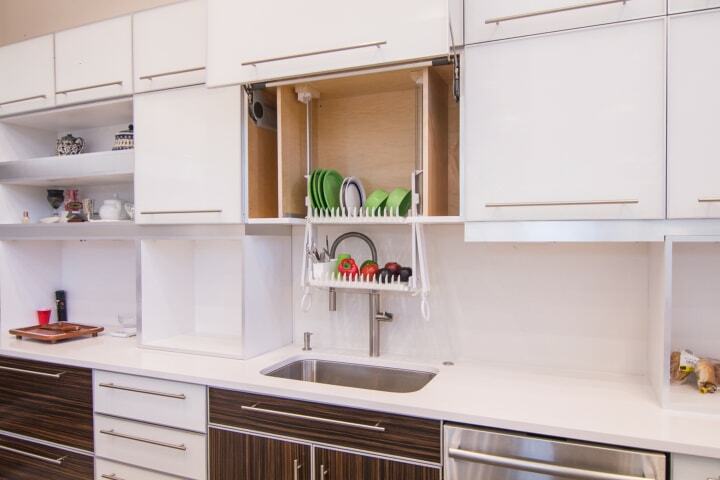 The concept is simple: it’s a regular kitchen cabinet on the outside, but instead of solid shelves, it has slotted dish racks. So, you can put wet dishes in the cabinet and let them drip dry directly into the sink. Brilliant! In small kitchens, a dish-drying cabinet frees up precious counter space by eliminating the need for a stand-alone drying rack. It also saves you the work of towel-drying dishes, or putting them away after they air dry on the counter. Even if you have a dishwasher, a cabinet like this could come in handy for drying large pots, pans and other hand-wash-only items. 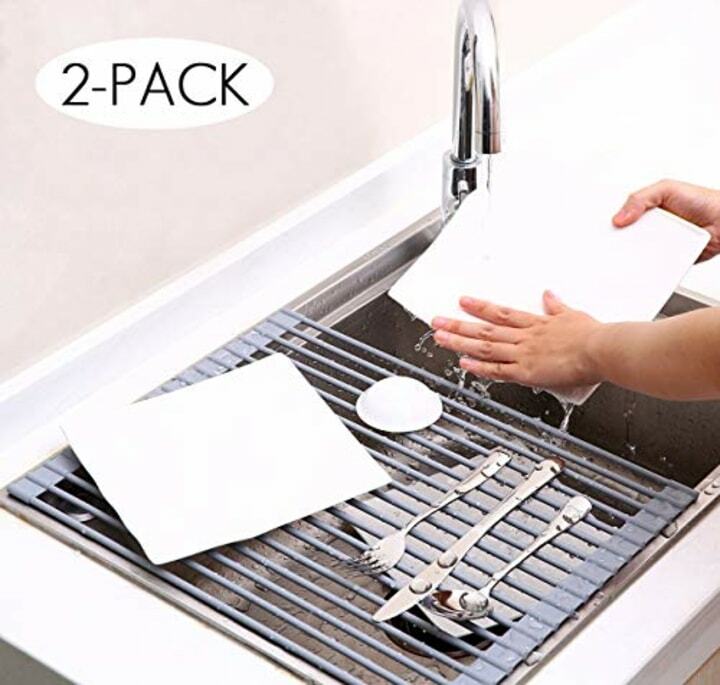 Some models — like this one from IKEA (not currently available at American IKEA stores, unfortunately) — have a removable tray that catches the water. Finns call this ingenious home feature astiankuivauskaappi, which, according to Google Translate, is a compound word meaning dish (astian), dry (kuivaus) and cabinet (kaappi). We can’t pronounce it, but we definitely want one — especially since it seems like anyone who has used one of these things is obsessed with it. Cheryl Quinton, a Canadian scientist who lived in Finland for more than three years, says she still misses her dish drying cabinet. Back in 2008, she even wrote a blog post praising the virtues of this Finnish home staple. Quinton stores plates, glasses, cutting boards and pots and pans in her large astiankuivauskaappi. Sadly, this wondrous kitchen innovation has yet to catch on stateside. Even if you want to custom-build your own, a lot of people don’t have the necessary cabinet hanging over their kitchen sink. Still, there are ways to integrate the concept of astiankuivauskaappi into your own home. 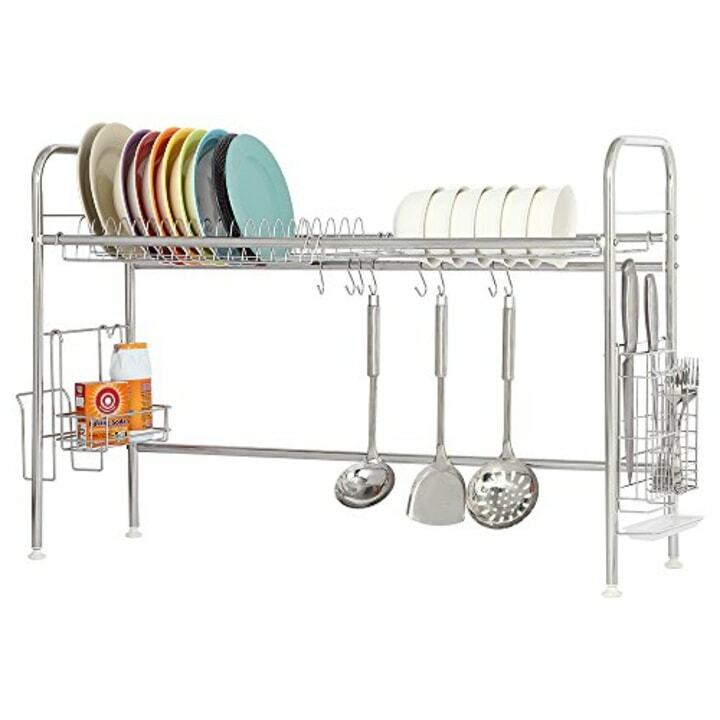 This stainless steel drying rack can be retrofitted over your kitchen sink, saving counter space. 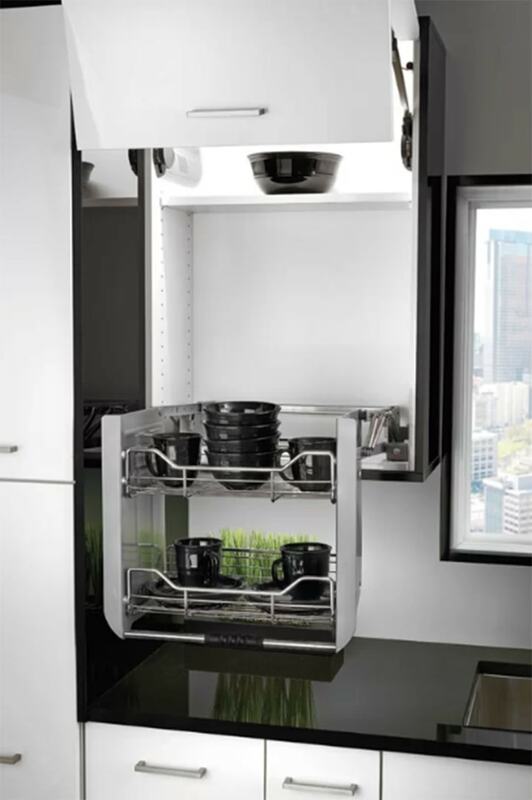 This clever pull-down dish rack allows you to dry dishes in the open air, then simply push the whole contraption back into the cupboard. If an elevated rack isn’t doable, you can still free up counter space with an over-the-sink dish mat. This one can be rolled up for easy storage. If you do have a cabinet over your sink, this company sells kits to build and install your own Finnish-style drying rack. We’re not really used to daydreaming about dish racks … but this simple Finnish invention is making us rethink everything! This story was originally published on Nov. 13, 2017.